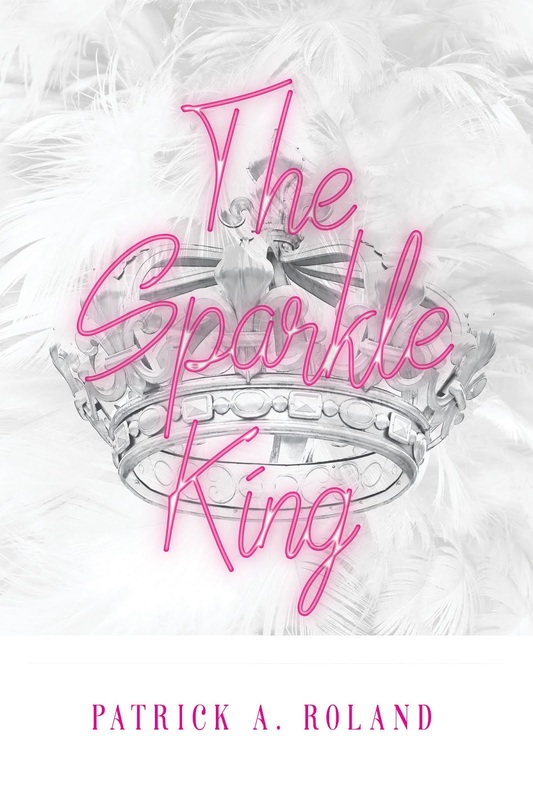 Goddess Fish Promotions is organizing a Virtual Book Tour for The Sparkle King by Patrick A. Roland, a Autobiography / Memoir available now from Wallace Publishing. The tour will run May 27 – May 31, and Patrick A. Roland is available for guest post and interviews. A PDF, mobi and epub copy of the book is available for review in conjunction with a guest post or interview. Patrick A. Roland will be awarding a $10 Amazon or Barnes and Noble GC to a randomly drawn winner via rafflecopter during the tour, and a $10 Amazon or Barnes and Noble GC to a randomly drawn host. In 2014, Patrick lost his partner, Pack, suddenly and without warning. As he struggled to come to terms with this, he was faced with homophobic prejudice from his partner's family. In horrendous emotional pain and feeling desperately lonely and depressed, he started to use recreational drugs heavily and hit rock-bottom whilst on a trip to Las Vegas. After being diagnosed with bipolar disorder and getting clean from drugs and alcohol, Patrick thought his fight was over. However, this was not the case. Life had many other obstacles in store for him but this time, he knew how to be strong and he knew he had God on his side for support. This inspiring and emotive true story shows how anyone can overcome the hurdles life presents them with, if they just have faith and focus on their inner strengths. Goddess Fish Promotions is organizing a Virtual Excerpt Tour for Demon's Grotto by Kate Hill, a Dark Fantasy, Paranormal Romance available now from Changeling Press. The tour will run June 10 - 21, 2019, and this tour will not include interviews or guest blogs; however, a blurb, exclusive excerpt and author bio will be provided to every host for inclusion on their blog. Additionally, a PDF copy of this story is available for review in conjunction with a promo post. Kate Hill will be awarding a $10 Amazon or B/N GC to a randomly drawn winner via rafflecopter during the tour, and a $10 Amazon or B/N GC to a randomly drawn host. Goddess Fish Promotions is organizing a Virtual Name Before the Masses Virtual Book Tour for On Loving by Lili Naghdi, a Romance available now. The tour will run every Tuesday and Thursday for 15 weeks starting on May 21, 2019. Prewritten guest blogs and interviews, along with promo posts, and reviews are available. Please specify which type of stop you’d like when you ask to host this tour. The book is available in PDF and ePub format for review. Lili Naghdi will be awarding a $50 Amazon or B/N GC to a randomly drawn winner via rafflecopter during the tour, and a $25 Amazon or B/N GC to a randomly drawn host. In 1972, Dr. Rose Hemmings has just finished her general surgery residency when a haunted stranger is shot in front of her in a New York City bar, and their lives become forever intertwined. And when, having been given the blessing of her adoptive father on his deathbed, Rose travels to prerevolutionary Iran to discover the past her American family kept secret from her, she finds a true Pandora's box. It is a world both foreign and familiar, in which her primary place is as the heiress to a great tribe. In Iran, Rose will find family she never dreamed of, her own people, and a man who loves her as passionately as he does the rare black roses of his garden. She will return to the United States carrying a new secret and torn between two men: the one she loves helplessly, and the one who loves her unconditionally. 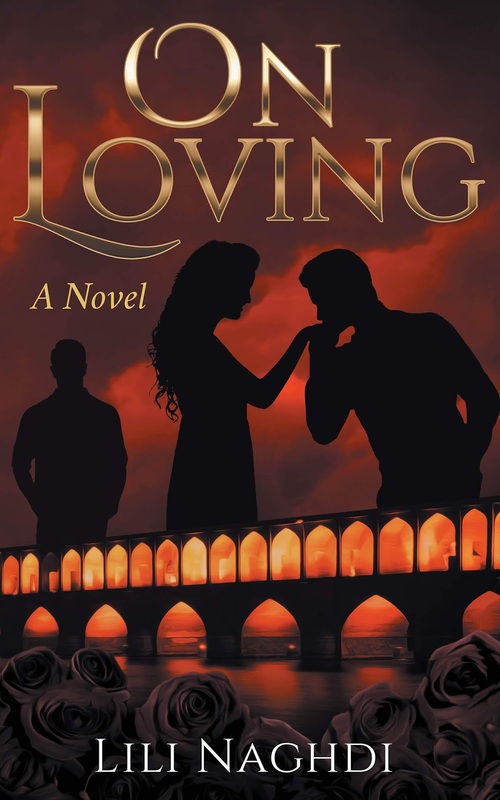 Woven throughout with Persian poetry ancient and modern, On Loving is the story of one woman's lifetime of love and loss, of societal change in a nomadic people, and of overcoming personal challenges, including mental and physical health, to find true contentment. Above all, it is a story of love: its physiology, psychology and philosophy; the many forms it takes; its myths and truths; its challenges, its joys and its gifts. Goddess Fish Promotions is organizing a Virtual REVIEW ONLY Tour for No Angels for Christmas by Petie McCarty, a 368 page Contemporary Romance with suspenseful elements available now from Soul Mate Publishing. The tour will run every Thursday for 4 weeks starting on May 23, and the book is available in PDF format. Petie McCarty will be awarding a $10 Amazon/BN GC and 3 ebook copies of Duke Du Jour, book 1 of the Lords in Time series to 4 randomly drawn winners (one prize per winner) via rafflecopter during the tour, and (U.S.only) an autographed copy of Duke du Jour, book 1 in the Lords in Time series to a randomly drawn host. No Angels for Christmas . . . a cozy romantic mystery with suspense from The Mystery Angel Romances series. An angel hidden in every book waiting for you to figure who . 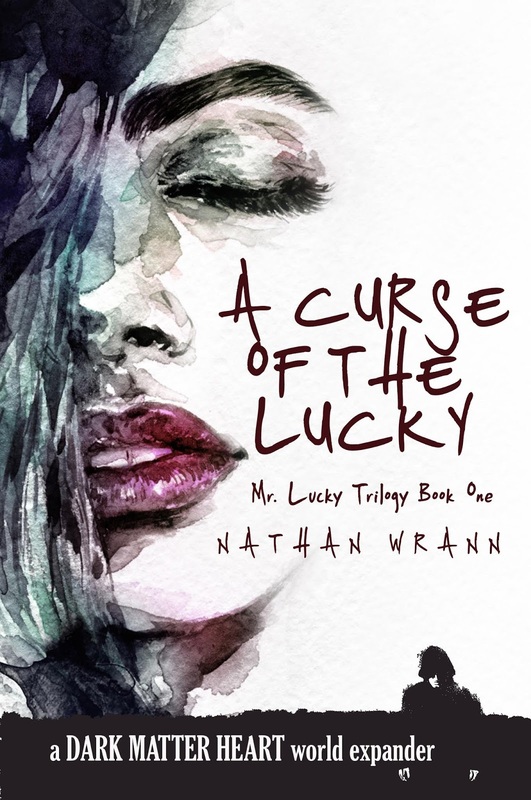 . .
Goddess Fish Promotions is organizing a Virtual Book Blast Tour for A Curse of the Lucky by Nathan Wrann, a YA Paranormal available April 30, 2019 from Dalton Gang Press. The Book Blast Tour will take place May 6 - 10, 2019. This tour will not include interviews or guest blogs; however, a blurb, excerpt and author bio will be provided to every host for inclusion on their blog. A PDF, mobi or ePub copy of the book is available for review. Nathan Wrann will be awarding a $10 Amazon or B/N GC to a randomly drawn winner via rafflecopter during the tour, and a $10 Amazon or B/N GC to a randomly drawn host. Two things that Jack Smith has always had: bad legs and bad luck. With a violent attack at the Tarrytown Independence Day Carnival, that bad luck has caught up to him with deadly consequences. Going on the run with Jaelle–the mysterious girl of his dreams–he descends into a world of curses, blessings, and fortunetelling Gypsies. The deeper he gets, the more he realizes she might just be the one to save his life... or end it. The Mr. Lucky Trilogy begins with A Curse of the Lucky. 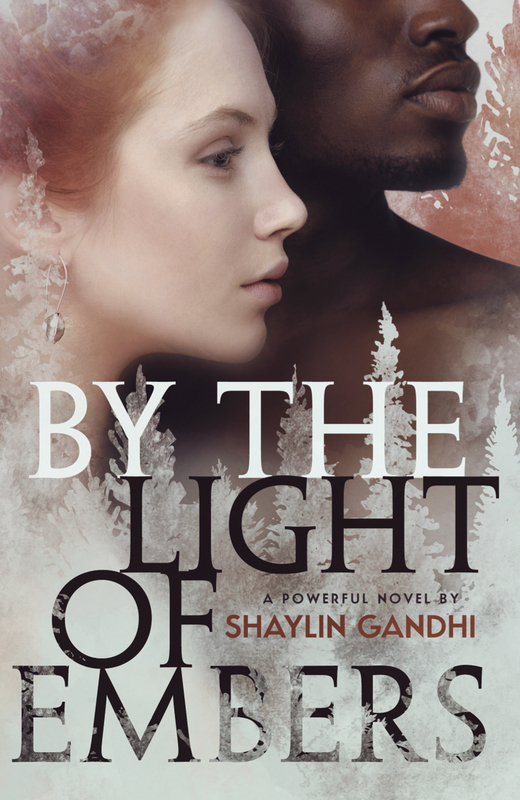 Goddess Fish Promotions is organizing a Virtual Book Blast Tour for BY THE LIGHT OF EMBERS by Shaylin Gandhi, a Historical Women's fiction available on May 9 from Briar Rose Publishing. The Book Blast Tour will take place on Thursday, May 9. This tour will not include interviews or guest blogs; however, a blurb, excerpt and author bio will be provided to every host for inclusion on their blog. If you would like to review the book, please see the review tour here. Shaylin will be awarding a $25 Amazon/BN GC to a randomly drawn winner via rafflecopter during the tour, and a $25 Amazon/BN GC to a randomly drawn host. It's 1954, and twenty-two-year-old Lucia Lafleur has always dreamed of following in her father’s footsteps. While sock hops and poodle skirts occupy her classmates, she dreams of bacteria and broken bones—and the day she’ll finally fix them. After graduation, a letter arrives, and Lucia reads the words she’s labored a lifetime to earn—"we are pleased to offer you a position at the University of Pennsylvania School of Medicine." But in the midst of her triumph, her fiancé delivers a crushing ultimatum: forego medical school, or forego marriage. With fractured hopes, she returns home to Louisiana, expecting nothing of the summer of '54 but sweet tea and gumbo while she agonizes over her impending choice. There, she unexpectedly befriends Nicholas, a dark-skinned poet whose dignity and intellect are a salve to her aching heart. Their bond, initially forged from a shared love of literature, soon blossoms into something as bewitching as it is forbidden. Yet her predicament deepens when a trivial misunderstanding between a local white woman and a black man results in a brutal lynching, and the peril of love across the color lines becomes chillingly real. Now, fulfilling her lifelong dream means relinquishing her heart—and escaping Louisiana alive. Goddess Fish Promotions is organizing a Virtual REVIEW ONLY Tour for By the Light of Embers by Shaylin Gandhi, a 382 page Historical Women's Fiction novel available May 9, 2019 from Briar Rose Publishing. The tour will run every Tuesday for 4 weeks starting on May 14, 2019, and the book is available in PDF, mobi and ePub formats. Shaylin Gandhi will be awarding a $25 Amazon or B/N GC to a randomly drawn winner via rafflecopter during the tour and a $25 Amazon or BN GC to a randomly drawn host. Additionally, Goddess Fish Promotions will be awarding a $5 Amazon GC to a randomly drawn host.